Dark times can happen unexpectedly. I haven't really talked much about it on my blog but after my 4th son, I suffered from terrible postpartum depression. I had never gone through anything like that before. What should have been a joyful time in my life was overshadowed by this dark cloud. It affected my whole family. Thankfully my husband was my rock and support through it all. He helped pull me through. God never left my side - I'm thankful for that too! If you recall Mandisa had a wonderful hit song about 5 years ago - Overcomer. This song was such an inspiration to many, including me. What she didn't expect is to go through a major bout of depression after. This album Out of the Dark is her come back and break out. While I tend to like classical hymns, I do have a soft spot for on-point contemporary Christian music and Mandisa nails it with this album. You can feel her heart literally coming out in the lyrics. It is not a come back but a renewal. I loved this album just as much as I loved her last. It is perfect for those days where you need to get out of your funk. I so loved the introduction of voicemails from her concerned friends. That alone inspired me. That was my husband for me in my dark times and I can only imagine how thankful Mandisa was for all those calls. It means the world to know someone truly cares about you. 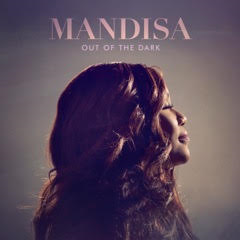 One lucky reader will win a copy of Out of the Dark by Mandisa!